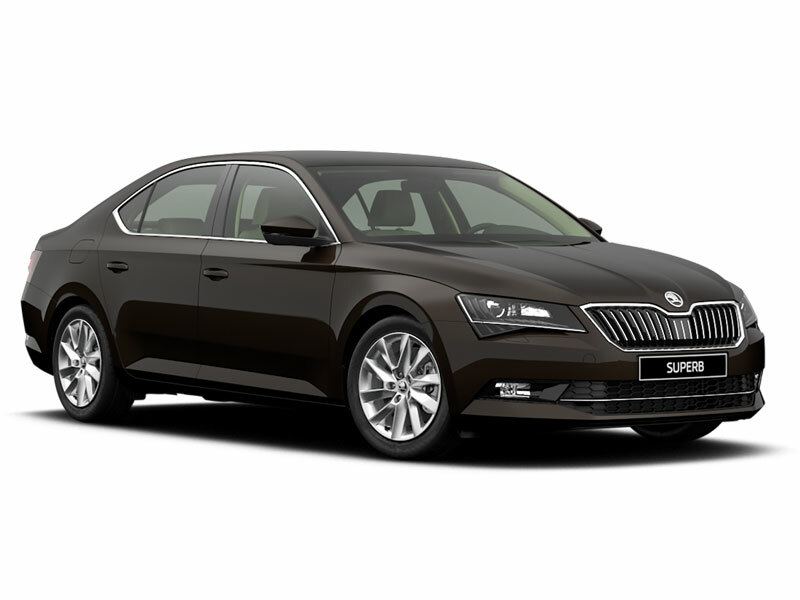 The Skoda Superb seems a very complete product in third generation guise, looking sharp and tilting at some big names. It's now better equipped too. Jonathan Crouch reports. 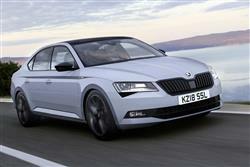 Skoda's Superb features a smarter suit, a slicker chassis and better engines in MK3 model guise. 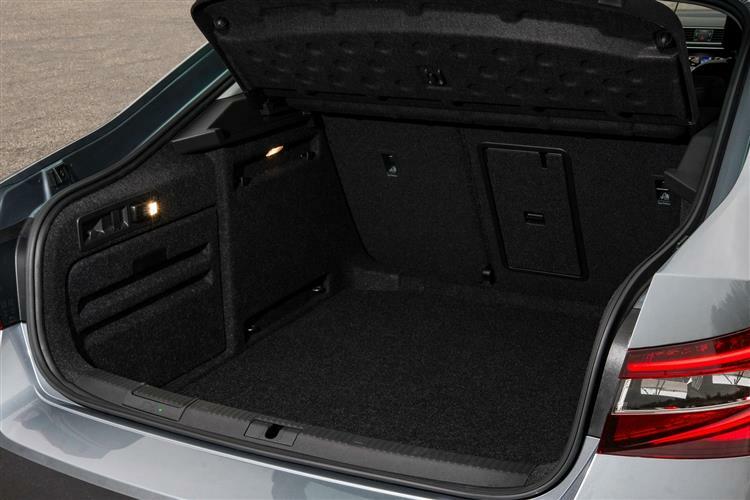 This time round, the weird twin-opening hatch is replaced by a more conventional rear aperture but there's still more space inside than in some London starter homes and the pricing remains sensible. 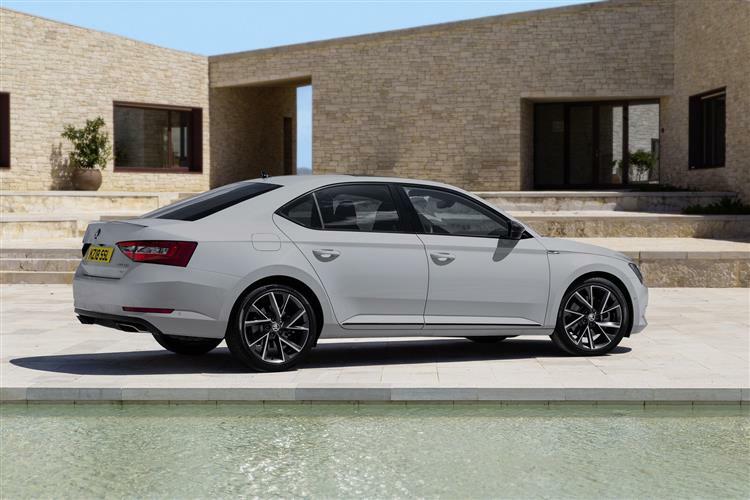 Skoda's been dipping into the almost unlimited largesse of the Volkswagen Group to bring us some mouthwatering engine and gearbox combinations with this latest Superb. There was a time when Skoda was just given the cast-offs, the engines that were in the final years of production, while Audi and VW got the shiny new technology. That's not the case any longer, with the Superb getting petrol engines like the excellent downsized 124bhp 1.4 and even a monster 2.0-litre turbo with 276bhp, four-wheel drive and a dual-clutch DSG gearbox. In between those extremes, petrol folk get to choose between a 148bhp version of the 1.4-litre TSI unit and 218 and 280PS 2.0 TSI variants. Go diesel and you're looking at 148bhp and 187bhp 2.0-litre TDI engines with six-speed manual or DSG 'boxes. Both of these engines are also available with all-wheel drive options. Dealers will also take orders for a super-frugal 118bhp 1.6-litre GreenLine version emitting just 96g/km of CO2. A plug-in hybrid like the VW Passat GTE is also on the cards. Adaptive dampers are an option and the adaptive drive mode can also adjust the weighting of the electrically-assisted steering. The torsional rigidity of the chassis increases by 12%, yet weight is down by 75kg for a body-in-white, due to the strategic use of high-tensile steels where required. The clever MQB chassis, which underpins the Volkswagen Golf and Passat, is used here in its longest guise to date. Expect to pay from around £21,000 if you want your Superb in saloon form - or around £22,000 if you want to order the car as an estate. Diesel power requires a premium of around £1,500 over the petrol alernative. As for trim, well even the base Superb S models get a decent run at the equipment list. Here you'll find alloy wheels, air conditioning, LED rear lights, DAB digital radio and a touchscreen infotainment system. A 'Multi-Collision brake' set-up triggers automatic brake intervention upon detection of a collision. The SE models start from around £23,500 and add 17-inch Helios alloy wheels, dual-zone air conditioning, front and rear parking sensors and cornering front fog lights. The SE's impressive specification also includes Adaptive Cruise Control (ACC) and SmartLink - a system that allows smartphone owners to show their phone's display on the car's infotainment screen. Sportline and Sportline Plus variants add a stiffer chassis, alcanatara sorts seats and an XDS differential lock for sharper handling. And if you step further up to the SE L Executive models, you'll find that they feature even more premium equipment, including Bi-Xenon headlights with AFS and LED daytime running lights, leather upholstery with heated seats and Columbus satellite navigation with 8-inch touchscreen. Then there are 18-inch Zenith alloy wheels, an electrically operated boot and Drive mode selection. The top Laurin & Klement model gets the options list fully emptied into it, with 18-inch Pegasus anthracite alloy wheels, tri-zone climate control, a 10-speaker CANTON sound system and piano black decorative inserts. That's on top of Blind spot detection, Lane assist, Park assist, the KESSY keyless entry and start system, a TV tuner and one of those boot opening systems where you wave your foot under a sensor to open the tailgate. This latter feature seems like a good idea in theory but we've yet to come across one that works when caked with road grime. Skoda has forged its modern-day reputation on building quality cars that aren't expensive to run. Here's another one. The new-generation MQB platform it's based upon makes this car up to 75kg - about the weight of an average adult - lighter than it was before and that, along with the Volkswagen Group's latest Euro6 engine technology, has led to improvements of up to 20% when it comes to efficiency. As a result, this Superb shouldn't really cost much more than its smaller Octavia stablemate to run. As before, there's an 'Energy Recovery' set-up to reclaim energy that would otherwise be lost under braking or during cruising. And the usual Start/stop system to cut the engine when you don't need it, stuck at the lights or waiting in traffic. Plus the driver can do his or her bit by keeping an eye on the gearshift indicator on the dash. All these things of course aid the returns you'll get from the line-up's efficiency poster child - the 'GreenLine' version of the entry-level 1.6 TDI diesel. Here, you also get low rolling resistance tyres and special aerodynamic parts, with the result that the normal returns you'd get from this engine - 68.9mpg on the combined cycle and 108g/km - are improved to 76.4mpg and 95g/km. As for the 2.0-litre TDI diesel that most customers choose, well, whichever guise you select it in - 150 or 190PS - a manual variant will manage 68.9mpg and around 108g/km of CO2.